umm...anonymous, that's a little strange...lol! i used 2 be scared of dr shemp when i wuz little...lolz. Whoa i gawt spyro the dragon ages ago i gawt tew the end where u defeat gnasty even with the tips from above i still kept dieing and this game is easier than silent hill 2 ... im starting teww think that this game is harder tho.. its been ages since i tried killing him again like gawd knos... 6 years i made a file for my big sister last year and i did half of it and im still having trouble finding how tew get tew some of the dragon statues.. i cant remember the name but one place is the place with the knights that yew need a supercharge tew defeat and the little ticking clock guys and wee witches and faires that give yew the power of a super strong breath when they kiss spyro help any1?? hey its not clone its a gnasty gnorc.this is first spyro game. Oh no!Here he come's AGAIN! he has a twin brother? it could be his clone. He died age's ago in A Heroes Tail you idiot's!Oh no!It must be his Identical Twin Brother! i said that-here he comes again!AHHHHHHHHHHHHHHHHHHHHHHHHHH! HELP! RUN AWAY-wait hes making soup out of me! HELP!!!!!!!!!!!!!!!! 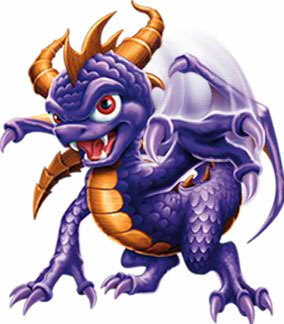 did GnastyGnorc die sometime I keep seeing his GHOST-OH NO HERE HE COMES NOW AHHHHHHHHHHHHHHHHHHHHHHHHHHHHHHHH! uuuhhhhh 0.0 o....k now i know *falls on ground puts up fum*got it! Actually...Gnasty was alway's a Gnorc. If you havn't played Y.O.T.D I'll tell you. Over 1000 year's ago,the dragon's used to live on the other side of the world/planet called "The Forgotten World's/Realm's",but were banished to the Gnorc side of the world.Then Gnasty was born about 600 year's after the banishment.When he was about 400 year's old all the Gnorc species went extinct and Gnasty turned evil.Spyro was born/created & then Gnasty & 1 of the dragon's had a T.V interview.Gnasty got really angry and turned all the dragon's(except for Spyro)into crystal & turned all the dragon's treasure/gem's into his evil Gnorc army.